You guys!! You might recognize this sweet little face from a recent family session I did with her and her parents!! This is baby Raegan, and she's officially ONE! How is that possible!? 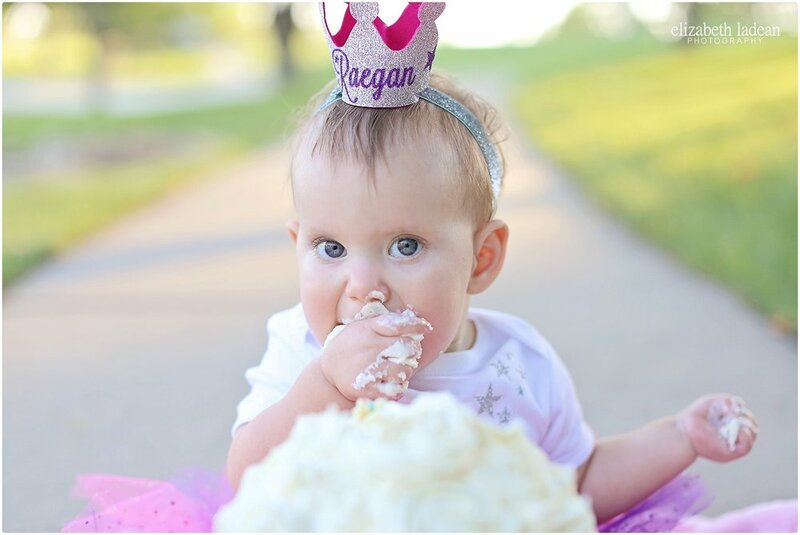 Her sweet Mom, Teal, put everything together for a mini cake smashing session in the park, and though that cake didn't last long - I'd say it was worth it! 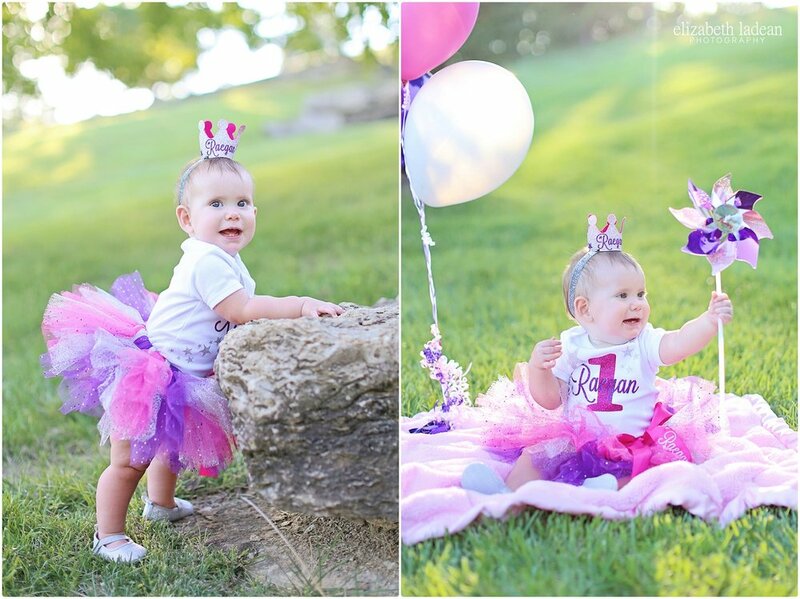 Raegan was all dressed up in a cute as heck silver, pink and purple tutu. Her shirt told the world who she was, and how old she was! 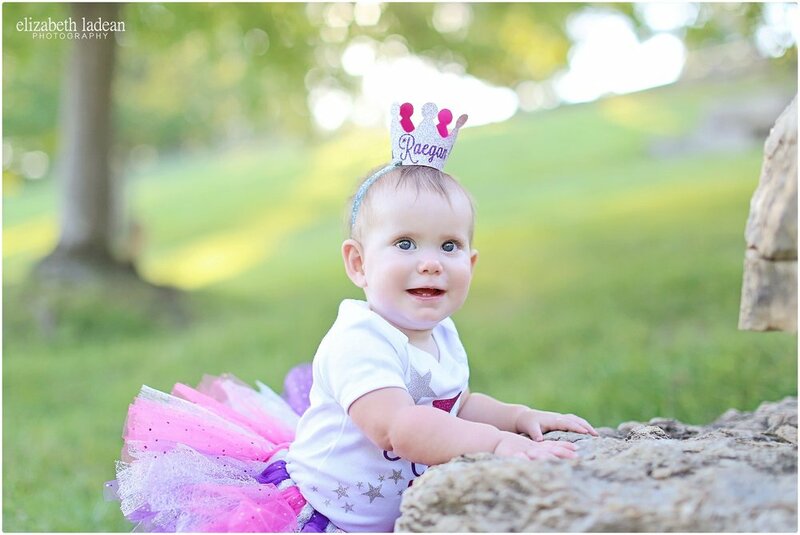 And her little outfit was topped off with a baby crown, complete with her name! Once again, Teal thought of everything! Not only did Teal put all this time and effort into her baby's outfit, she's also the magician behind that beautiful cupcake cake! It took Raegan all but about 2.5 seconds before she dove right into that thing!! And about 15 more seconds until it was all over her face! Ha! So much fun photographing this sweet baby girl! Happy 1st Birthday you little cutie! !